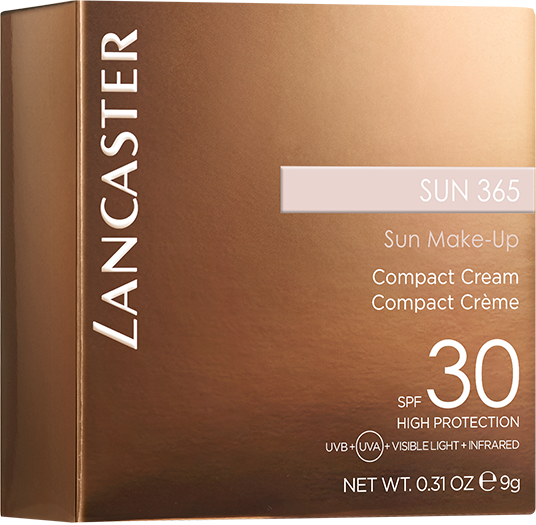 Glow today, tomorrow, and every day, with the triple-action formula of our Sun 365 Sun Compact Cream SPF30. 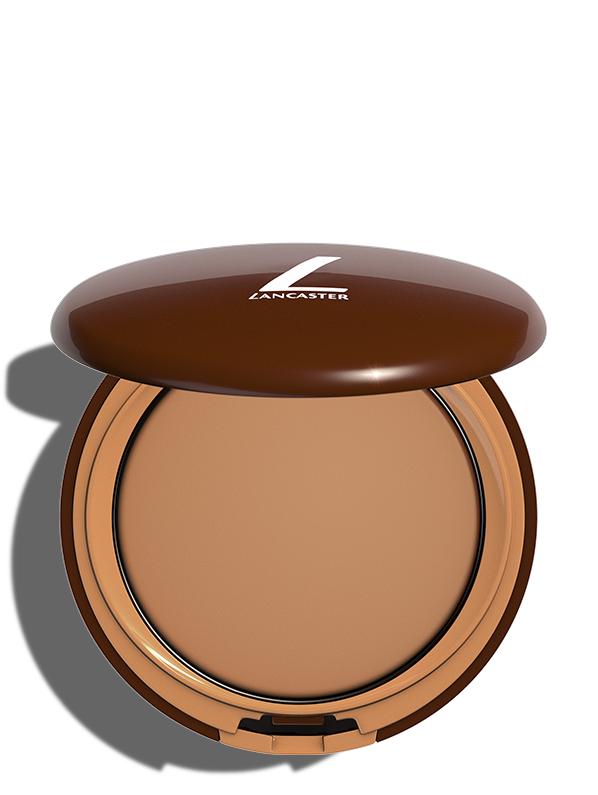 A unique mix of pigments and Lancaster's Tan Activator Complex gives your complexion a radiant touch all year long. Skin is protected too, with our exclusive Full Light Technology that targets 100% of the sun's rays and an Antioxidant Complex to fight environmental damage. The compact slips into your bag for easy touch-ups on the go. The smooth, creamy texture is suitable also for sensitive skin. 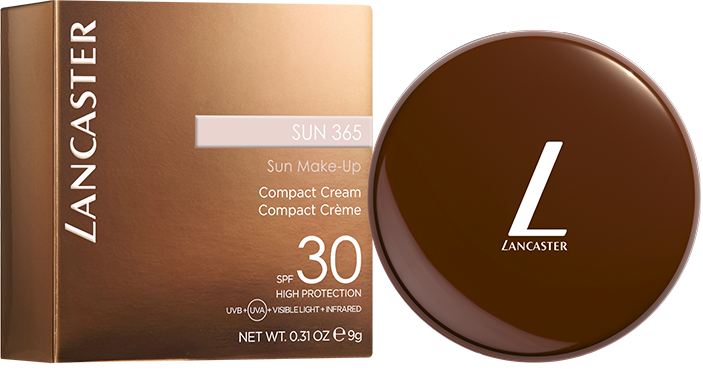 Sun 365 Sun Compact Cream SPF30 is specially developed for women who want a highly protected, sun-kissed complexion wherever they go, 365 days a year. Keep your complexion sun-kissed and highly protected with our Sun 365 Sun Compact Cream SPF30. It delivers broad spectrum sun protection while giving your complexion a radiant touch. 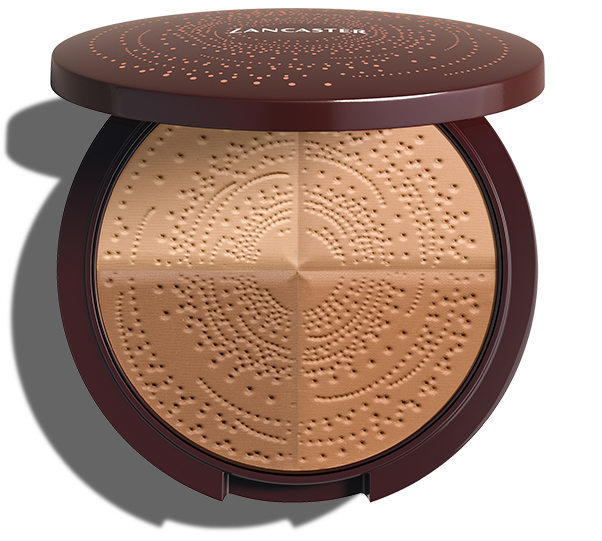 Water- and sweat-resistant, it leaves skin with a mattifying, powder finish. Apply Sun 365 Sun Compact Cream SPF30 generously, with its applicator pad, all over your face before sun exposure. To keep your skin highly protected, remember to re-apply frequently. Tan Activator Complex: boosts natural melanin production to prepare your skin for a faster, lasting tan from the first day of sun exposure. Antioxidant Complex: provides anti-free radical efficacy and DNA protection.